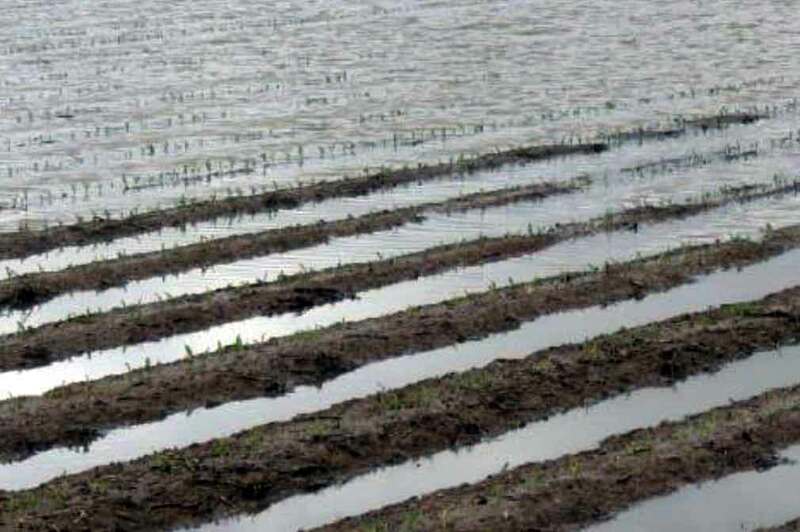 The May contract of corn was up 4 3/4 cents and May soybeans were up 4 1/2 cents, both finally showing slight acknowledgement of this month’s flooding problems and concerns about the upcoming planting season. Winter wheat posted small gains even though the June U.S. dollar index reversed Wednesday’s loss and is trading higher. Midday: Corn leads trade at midday with firmer action developing. Corn trade is 4 to 5 cents higher at midday with better buying developing during the day session. Midwest weather issues are hindering demand and movement, which will continue for a bit with a wet start to April expected for much of the belt. South America crop progress should remain uneventful in the near term with Brazil trending drier for double crop corn but it remains early. Ethanol margins have improved this week, but remain tight with the effects of production disruptions still likely a little way off, and flat to slightly higher futures this a.m. Corn basis will be mixed depending greatly on local conditions. The slow start to fieldwork will continue to be watched in the near term with fertilizer logistics likely to be a major issue. The weekly export sales were improved at 855,900 metric tons of old crop, and 90,000 of new. On the May chart support is the 10-day at $3.68 which we bounced from this morning, with the next level of resistance the 20-day at $3.71 3/4 being taken out this morning, and the 50-day at 3.80 the next round up. Soybean trade is 2 to 3 cents higher with trade remaining firmly range bound between $9.00 and $9.10 with two-sided trade continuing. Meal is $1.50 to $2.50 lower, and oil is 10 to 20 points lower. rush margins remain strong overall with meal still hanging near $310 a ton with support coming back into the market at midweek. The weekly export sales were soft at 399,500 metric tons of old crop soybeans, -64,400 of new, 97,500 of meal, and 5,500 of oil. On the May chart support is the $9.01 3/8 10-day moving average, with the 20-day at $9.07 3/8 the next level up, which we are just above at midday, with the 100-day at $9.17 the next round up. Wheat trade is flat to 3 cents higher with trade fighting off the overnight selling and sharply stronger dollar to move higher during the day session again. Trade is still focused on easing oversold conditions with the large fund short remaining in place with planting season coming up for spring wheat, and weather likely to remain challenging. Export news will be focused on in the near term with exports potentially slowing from the Black Sea area with the weekly sales a little soft at 298,600 metric tons of old crop, and 138,800 of new. Warm plains weather will pull the crop out of dormancy with generally good conditions so far. Wheat basis varies widely on product and location. On the May Kansas City chart, support is the 20-day at $4.41 that we closed above yesterday with the 10-day at $4.36 below that, with the upper Bollinger band the next round up at $4.63. The coming weeks are prime time for spotting Palmer amaranth plants when they are still small enough to kill and stop an infestation.